Picard’s family Christmas, because Picard has always been shown to have a love of children. Okay, not exactly a Christmas special; that’s why it’s #4, after all. But, given that Star Trek is set in a very secular universe where Christianity is all but irrelevant, even mentioning Christmas at all is strange. 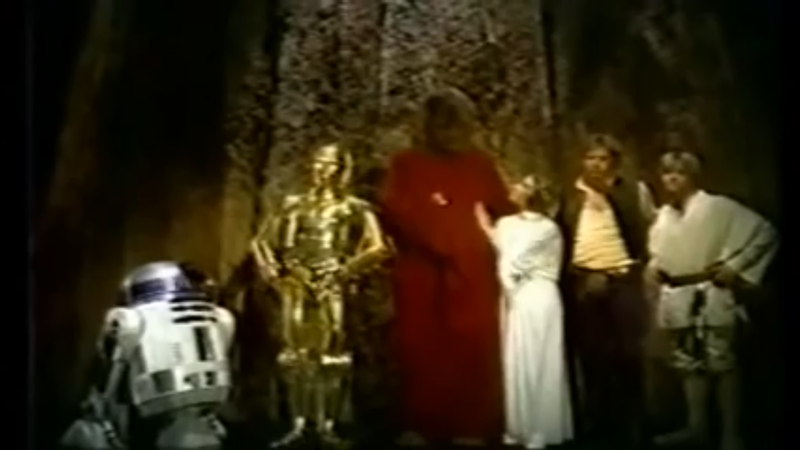 The fact that it plays a role in one of the most important moments of the film just makes it all the stranger. When Picard fails to stop Soran and is pulled into the Nexus, his “fantasy” is celebrating Christmas with a wife and children. Of course, he soon realizes it’s a fantasy and is told by Guinan’s echo to go seek out Kirk, leading to the very lackluster team-up at the climax of the film. 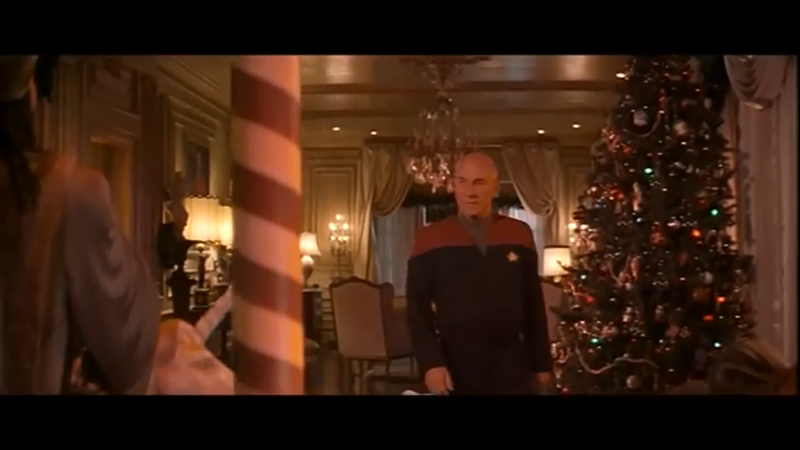 Picard’s Christmas fantasy here doesn’t make sense for a lot of reasons; for one, outside of this film, there’s very little indication that Picard ever desired the kind of family life depicted here. Even if he did, he’s had experiences like that in “The Inner Light,” and a return to that world would make for a far better fantasy. For two, Christmas is rarely ever acknowledged in Trek and Picard, of all characters, seems the least likely to ever want to celebrate such a holiday. His only real connection to it is through literature, like “A Christmas Carol,” which Data had shown interest in during the series. There’s also the myriad other questions raised by the Nexus, such that it’s spawned the strange fan theory that Picard never actually left the Nexus at all, and that his Christmas fantasy was just a way to help him cope with the fact that he’d never knowingly be satisfied with a fantasy world by presenting him with an obviously fake fantasy that he could “escape” from. And that’s what kind of madness results when you mix Christmas with Star Trek. 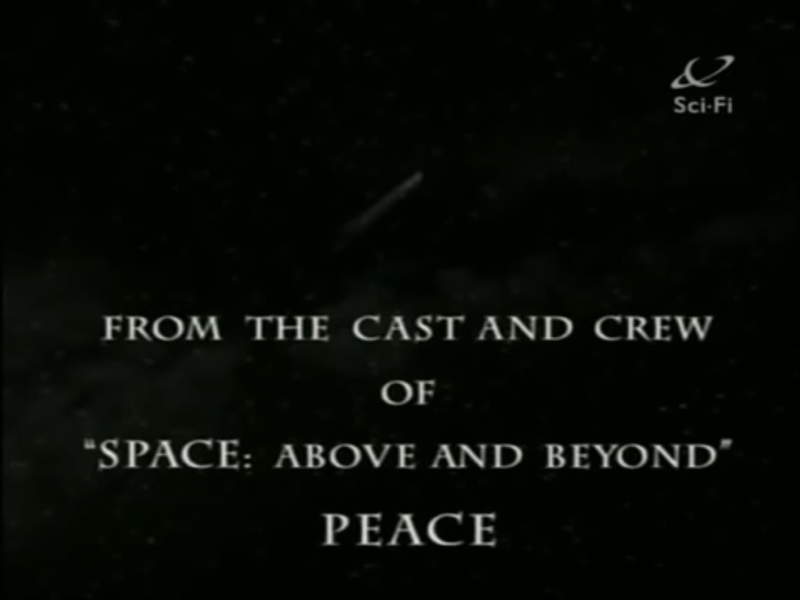 Having just taken a look at Space: Above and Beyond in the Obscure Sci-Fi Primer earlier this week, it seemed like fair game for list entries. Given how heavily military-themed it is, having any kind of personal moment sticks out, and a Christmas episode doubly so. And yet, here we are! 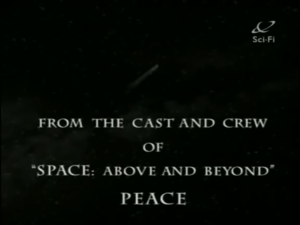 “The River of Stars” is the episode’s title, where the Wildcards are stranded behind enemy lines on good ol’ Christmas Day. A mystery transmission helps them to find their way home by following a passing comet–a not-so-subtle reference to the star of Bethlehem, which is often speculated to have been a comet. With how heavily militarized and restrained the rest of the show is emotionally, this episode sticks out like a sore thumb for its sentimentality. But, it was the 90’s, and there wasn’t as much creative freedom then. Or at least, that’s what I’ll choose to believe is the excuse. Behold: the true appearance of Santa Claus. Or so the episode claims. Alf was a “sci-fi” comedy from the 1980’s, a time when there seemed to be a lot of sci-fi comedies flooding the airwaves. Given that it’s a comedy, you might be more willing to give Alf a pass on the Christmas episode; after all, Futurama has had plenty of Christmas episodes, and it carried the torch of comedic sci-fi for a long time. 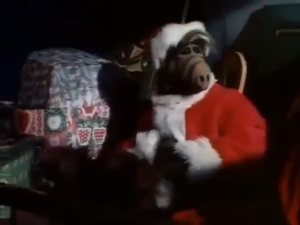 Alf‘s Christmas special, however, wasn’t quite so comedic. See, it opens with the Tanner family going to a cabin in the woods (but not THE Cabin in the Woods, unfortunately) where Willie Tanner once spent Christmas as a kid when his family was homeless. The man who owns the cabin stops by to announce that he’s taking presents to sick kids at the children’s hospital up the street. There, Alf pretends to be a toy until he at last reveals himself to the terminally ill little girl he was given to, spoils Christmas for her, then has the audacity to ask her for help getting back home. Two can play at this game, Alf, and she bums him out enough with her fears about dying that even he cries. Then Alf is tasked with delivering a baby for some reason? And the cabin owner is planning to kill himself, so Alf has to stop that, too. It finally ends with an “in memoriam” card for an actual girl whom the sick kid in the special was based on. All in all it’s probably one of the most depressing specials of all time, and if for some reason you want to read more about it, you can here. If you want to watch it, I’m not going to help you do that to yourself. Believe it or not, The X-Files has had more than one Christmas-related episode. For example, there’s the one where Scully goes home for the holidays, only to learn someone has created a kid from her DNA without her permission. Or the first season episode where Scully finds out her father died right after Christmas. But by far, the most ludicrous is “How the Ghosts Stole Christmas,” a Christmas episode set in a haunted house where Mulder and Scully are possessed by a couple who decided a murder/suicide was the best way to escape World War I. Because they’re ghosts now and this is The X-Files, they want to make any couple who enters the house fall to the same fate. Of course, investigating this is what Mulder wants to do, but Scully has literally anything else to do for Christmas and really rather wouldn’t. But they’re possessed, so the whole episode, which basically features just Mulder, Scully, and the brief appearances by the two ghosts, becomes an episode (either zany or creepy, take your pick) where they try to kill each other. It turns out it’s all an illusion anyway, so they go home and that’s that. 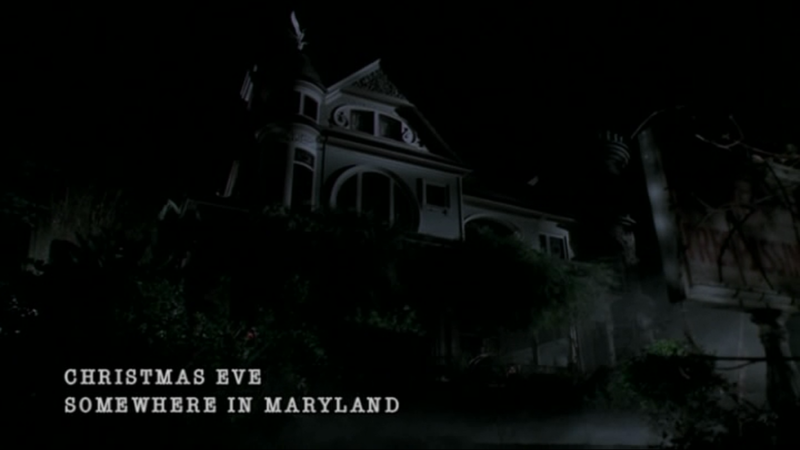 Why did The X-Files have a Christmas episode at all, much less one set at a haunted house? Who knows. 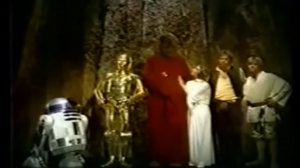 Why do people keep insisting on mixing science fiction with Christmas when it’s obviously not going to work? A mystery for the ages. Are there any awful Christmas specials I’ve missed? Let me know in the comments or on twitter @RetroPhaseShift.